Produced by Save or Cancel, CAPITOL booklet #02 was launched and first distributed during the CAPITOL Talks 2/4 conference, in October 2017, hosted together with Calup at the new Hub A. 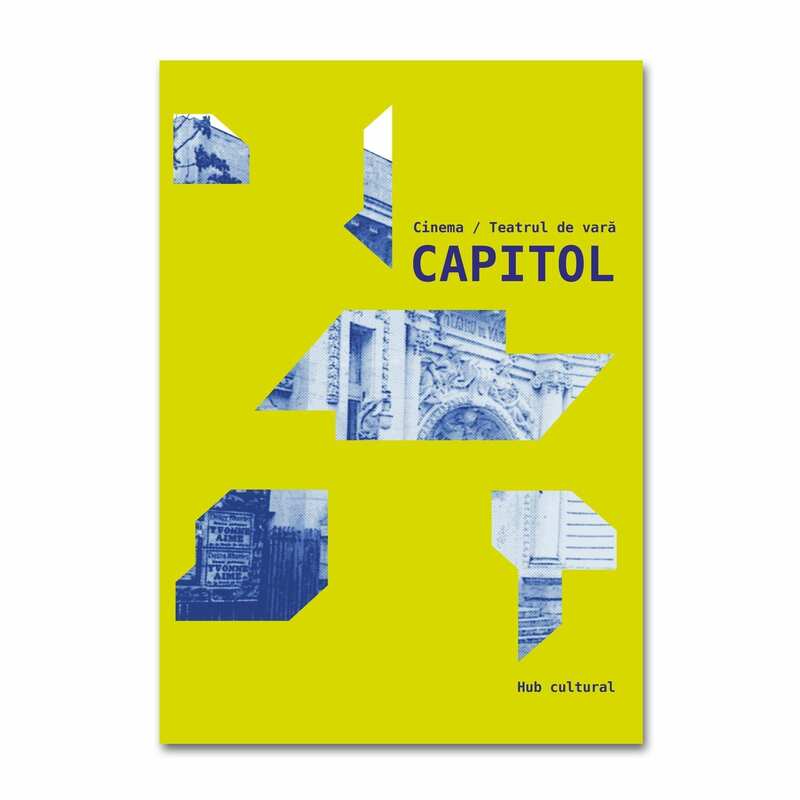 The publication presents information about the ensemble of monuments, a summary of the historical studies, and a recap of the activities and events which, for the last 9 years, aim to reactivate collective memory and to reintegrate CAPITOL in the public circuit. CAPITOL booklet #01 is one of the participating publications in the Bucharest Architecture Annual 2017, Research and Visions through Architecture – Architecture Books. This product is the digital edition of the CAPITOL booklet #02. Unusual booklet with 36 pages of various sizes. Situated downtown Bucharest, the ensemble of historical monuments CAPITOL Cinema (LMI B-II-m-B-18683) and CAPITOL Summer Theatre (LMI B-II-m-B-19202) occupies the plot of land between 36 Elisabeta Bd. and 13 C-tin Mille St.